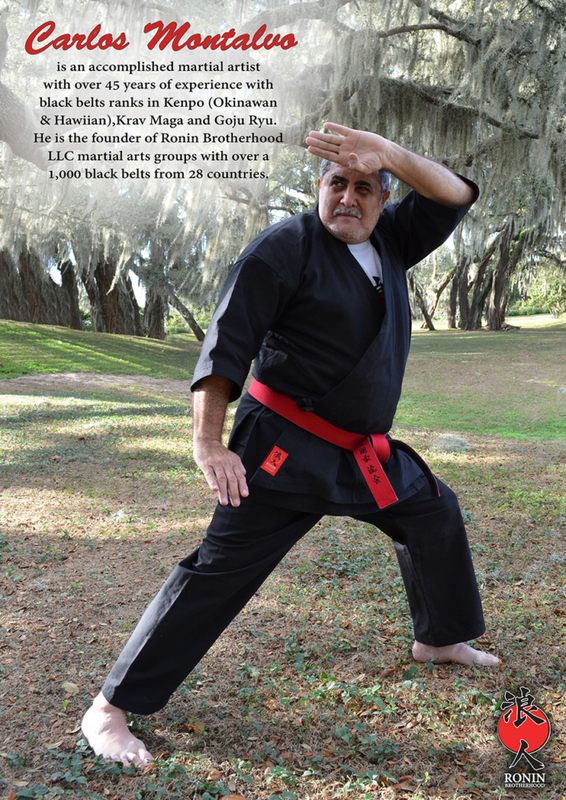 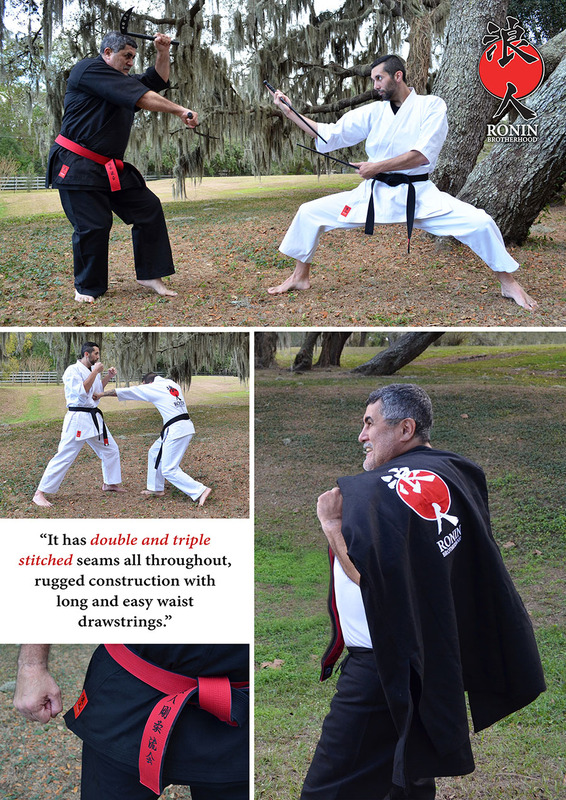 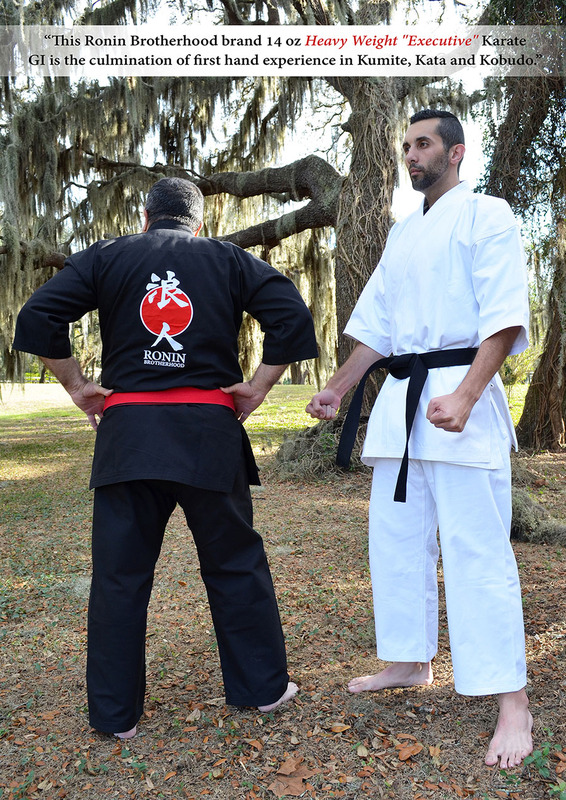 Carlos Montalvo is an accomplished martial artist with over 45 years of experience with black belts ranks in Kenpo (Okinawan & Hawaian),Krav Maga and Goju Ryu. 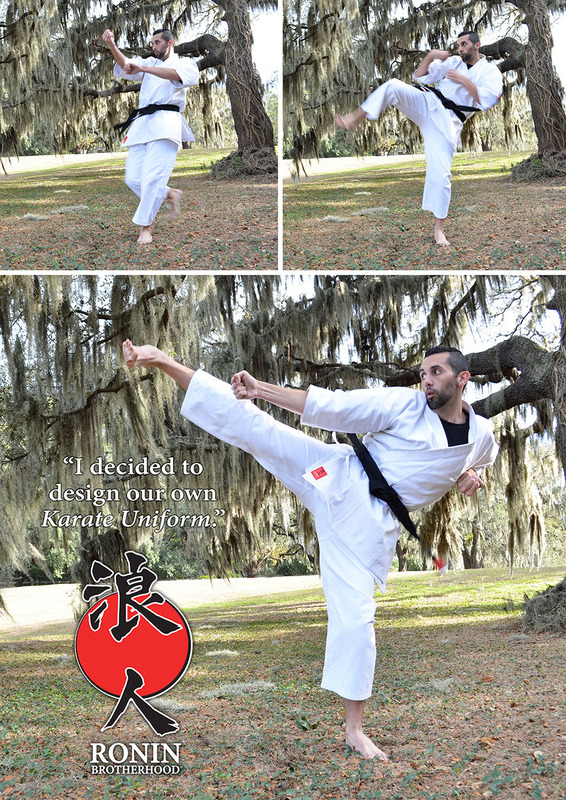 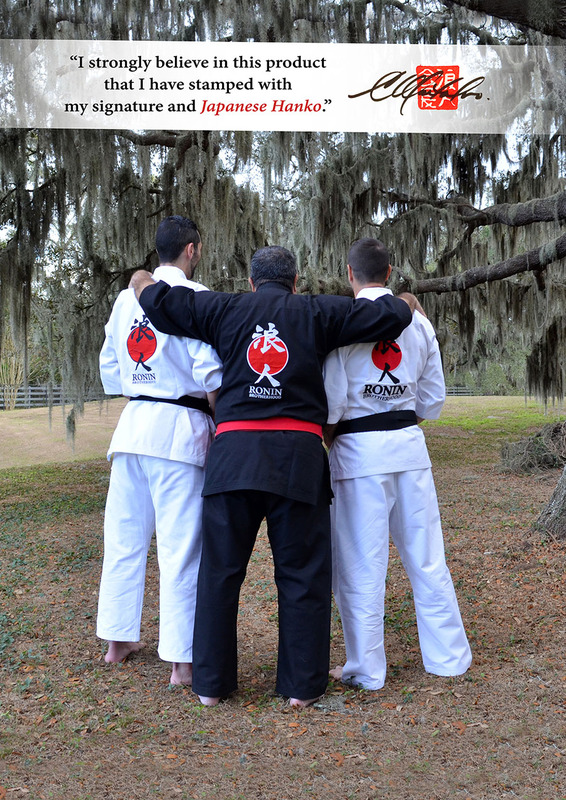 He is the founder of Ronin Brotherhood LLC martial arts groups with over a 1,000 black belts from 28 countries. 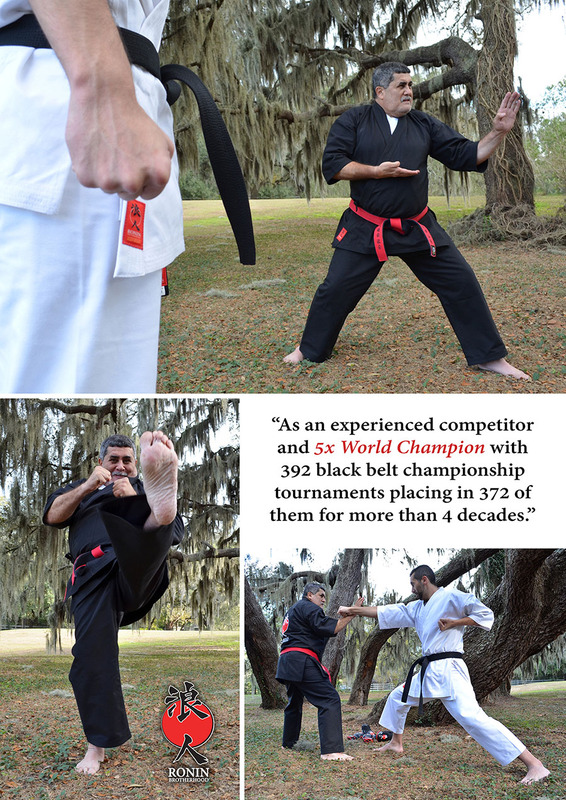 As an experienced competitor and 5x World Champion with 392 black belt championship tournaments placing in 372 of them for more than 4 decades. 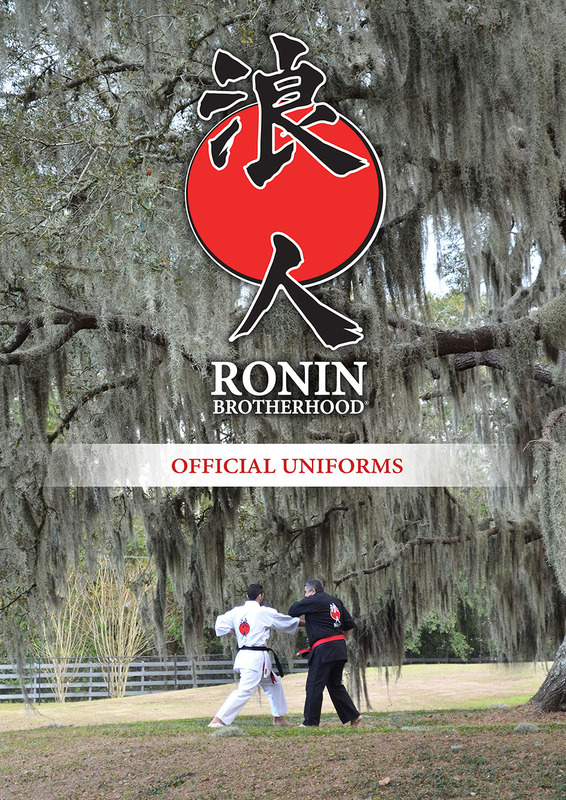 This Ronin Brotherhood brand 14 oz Heavy Weight “Executive” Karate GI is the culmination of first hand experience in Kumite, Kata and Kobudo. 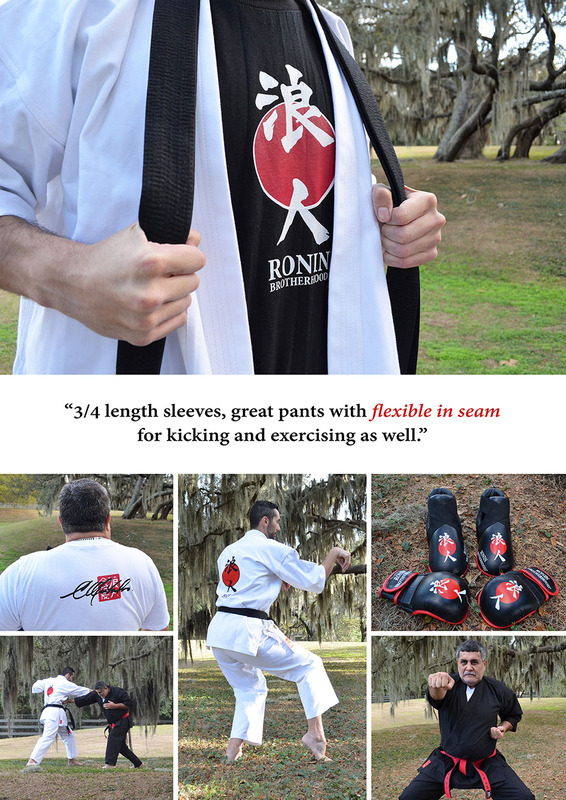 for kicking and exercising as well.